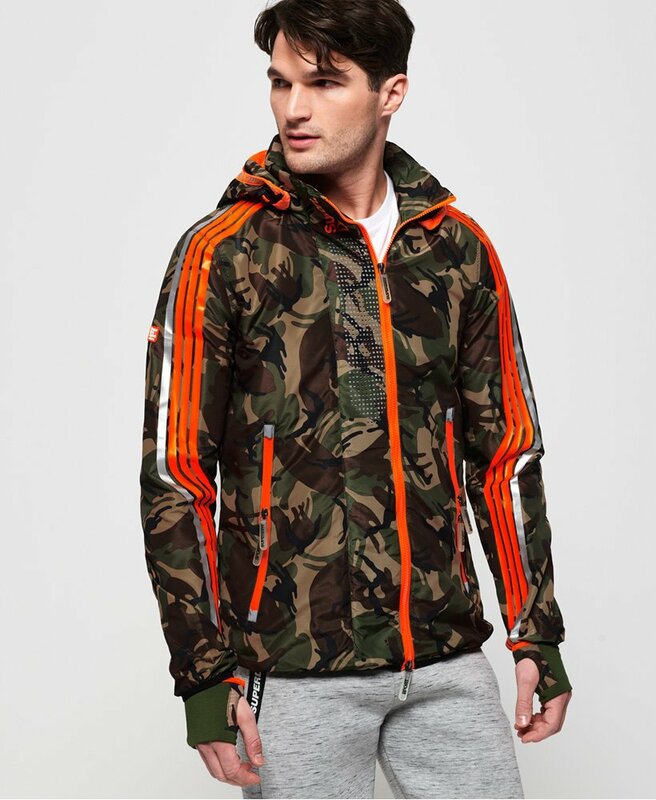 Superdry men's Sprint Attacker camo jacket. The perfect cover up for wearing to and from the gym, this jacket features a detachable bungee cord hood, zip fastening and large Superdry graphic on the back. This jacket also features two zipped front pockets, an inside pocket with popper fastening and a mesh lined hood and body. The jacket is completed with Superdry Sport detailing at the collar, a small logo badge on one sleeve and reflective stripe detailing down the sleeves.